Our Traveller game has slowed down - we've not actually played in a month or more. Between holidays, illness and other aspects of real life, we've been unable to meet up. Either that or my players are not really enjoying the game. And I've been a bit out of contact myself for a variety of personal reasons. While next weekend (end of Jan) I am unavailable, perhaps we'll be able to play the following weekend. 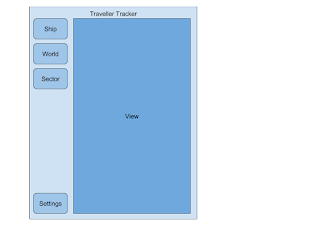 On the software side, I've restarted the Traveller Tracker a few times. Trying to get my head wrapped around the MVVM aspect of things. I've got yet another restart in process where I've the basic MVVM set up, I've installed the SqlLite DB and tools, and I'm about to at least see about getting the various other models I had ported into the new program. The Entity Framework sample I am following has migration built in it appears, so that my database will be maintained via the program. So that's good.